On 15 September 2016 the British government issued a public apology for the death of Ahmed Jabbar Kareem Ali, an Iraqi teenager who drowned after being forced into a river by British soldiers. Eight days later Prime Minister Theresa May attacked “vexatious claims” being brought against armed forces. Yesterday we examined that official narrative, and how some of the UK’s media promoted it. 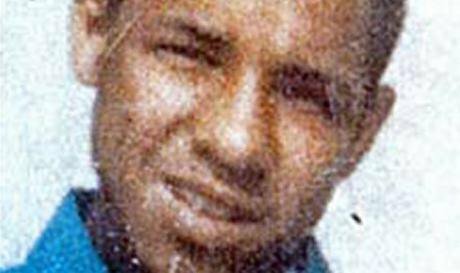 Today we tell the story of Ahmed Jabbar Kareem Ali. Sir George Newman, chair of the Iraq Fatalities Inquiry (IFI), investigated Ali’s death. The Inquiry was set up in 2013 to examine unresolved questions about some of the deaths of Iraqi civilians at the hands of British forces and is one of the processes which the Mail, the Sun and the Telegraph have campaigned to bring to an end. British Army soldiers on the banks of the Shatt Al Arab waterway in Basra, Iraq. Press Association/Lewis Whyld. All rights reserved. The IFI found that Ali, a 15 year old boy, with three other Iraqi civilians, was arrested in Basra on suspicion of looting by members of the Irish Guards on 8 May 2003. The soldiers put the four Iraqis in a Warrior armoured car and drove them to the Al-Zubair bridge on the Shatt Al Basra canal. Once there, they ordered the Iraqis out of the vehicle and into the water. It was supposed to be a form of rough and ready punishment, a tactic called ‘wetting’, designed to deal with increasing looting in the city. The British forces couldn’t cope with the problem. They didn’t have the manpower or the facilities for detaining looters. Instead they resorted to humiliation. One of the soldiers testified before the inquiry that after the three Iraqi men and Ali were forced into the river, he saw the “‘boy” then suddenly go under the surface, come up and then go under again. The boy didn’t reappear. None of the soldiers went in after him. They got back into the Warrior and left. Ali drowned, his body recovered from the river by his father two days later. Sir George questioned the soldiers and examined the evidence. He concluded that the actions of the four Guardsmen amounted to “a clumsy, ill directed and bullying piece of conduct, engaged in without consideration of the risk of harm to which it could give rise”. He said ‘“there was a manifest failure to take action to save the life of Mr Ali”. Sir George also indicated that the general treatment of looters in Basra required further investigation. He referred to evidence given by Captain Niall Brennan, one of the Operations officers in the Irish Guards at the time Ali died. Sir George reported that Brennan was “aware that one of the methods for dealing with looters was throwing them into one of the waterways”. It was a routine mode of punishment. And Brennan stated that his commanding officer “would have been aware of the practice”. The implication was that the treatment, clearly in breach of the Geneva Conventions, may have been known about or sanctioned by senior military personnel. Sir George announced that he intended to look further into the matter and any other cases of other Iraqis alleged to have died in circumstances similar to the death of Ahmed Ali. 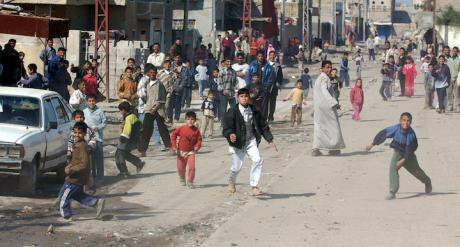 Iraqi children in Hyyaniah, Basra in Southern Iraq, throw stones at British soldiers. Press Association/Richard Mills. All rights reserved. How did the government respond to Sir George’s report? Prime Minister Theresa May gave no comment. Two weeks later, her conference speech contained no sense of contrition, commitment to investigate, openness to learning lessons. Instead, she attacked the very people who sought to expose wrongdoing and hold government to account. Tomorrow, a former policeman turned Territorial Army soldier tells of children as young as 10 locked up by British troops.